Egypt and the United States signed a $65 million grant to support infrastructure in the country, a statement by the Egyptian Ministry of Investment and International Cooperation read on Monday. In an official statement, the ministry said minister Sahar Nasr signed the agreement for the grant with Sherry Carlin, the USAID Mission Director in Egypt. Nasr said the agreement affirms the strategic relationship between Egypt and the US, as well as economic cooperation between the two countries. 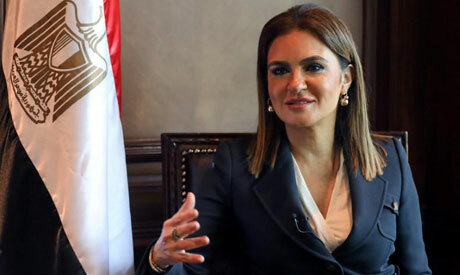 She mentioned that the deal comes as an execution of orders by Egyptian President Abdel-Fattah El-Sisi on meeting the needs of citizens through infrastructure development, where 1.1 million people in the most vulnerable part of Upper Egypt’s rural areas would benefit. The Upper Egypt governorates include Assiut, Sohag, Qena, Luxor, Aswan, Beni Suef, and Minya. The infrastructure upgrade will include water treatment, as well as adding sanitation lines in rural areas. Demise Lamaute, the economic officer of the Middle East Bureau of the United States Agency for International Development, said the USAID-funded Workforce Improvement and Skills Enhancement (WISE) is cooperating with the Ministry of Education and Technical Cooperation to launch a portal for technical education schools to facilitate people joining the labor market in various governorates. Addressing a press conference on Monday on the outcome of WISE programs, she said WISE is currently working in five governorates in collaboration with the private sector to determine the workforce needs, while preparing students to join the workforce, and connecting them with potential employers. Since 2016, the USAID’s project to improve the skills and job-readiness of technical students has secured employment for nearly 7,000 and internships for over 5,350 students. More than 24,000 students have benefited from career guidance sessions and over 21,000 students received training in entrepreneurship. This project is part of the $30 billion that the America has invested in Egypt through USAID since 1978.